To love me, is to love my pallet projects! What’s not to love about pallets, especially if your decorating style is on the farmhouse type rustic side. I think you’ll find that it doesn’t take much work to find a resource for pallets. 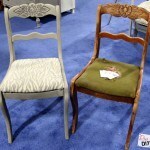 The best places to look and ask are places that receive freight and do not ship any freight out. Usually small local retail stores are a good place to start and my favorite, hot tub shops! Once you find your pallet source you now have free wood to use for your projects with that automatic reclaimed wood look. 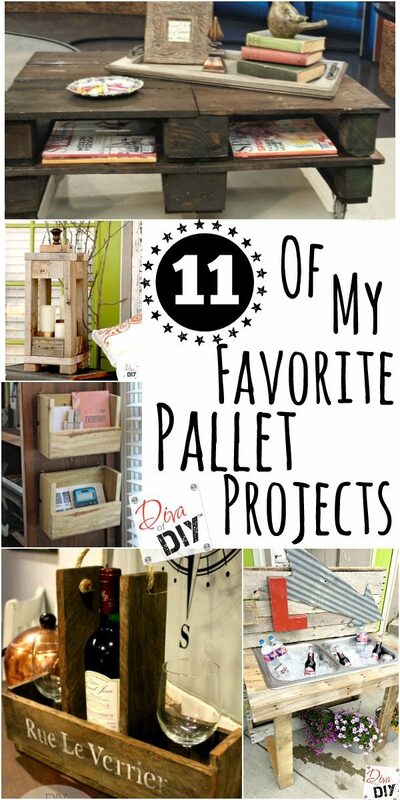 I’ve put together 5 of my favorite pallet projects that I have done, along with 6 from some of my favorite bloggers! The hardest part for you is picking out which project you are going to start with. 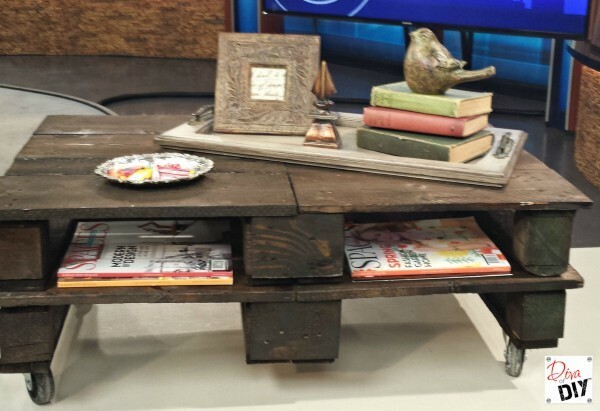 Get extra magazine storage with this Pallet Coffee Table. 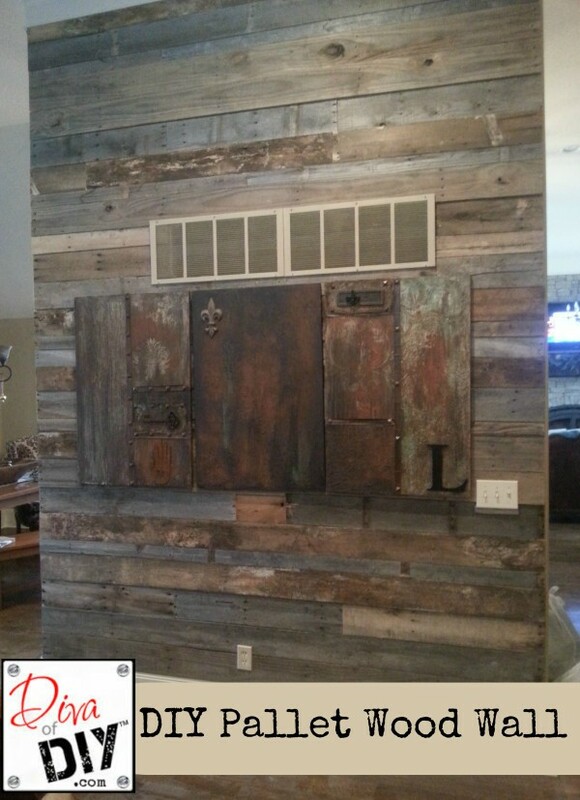 Add some character to a large focus wall with a Pallet Wood Wall. 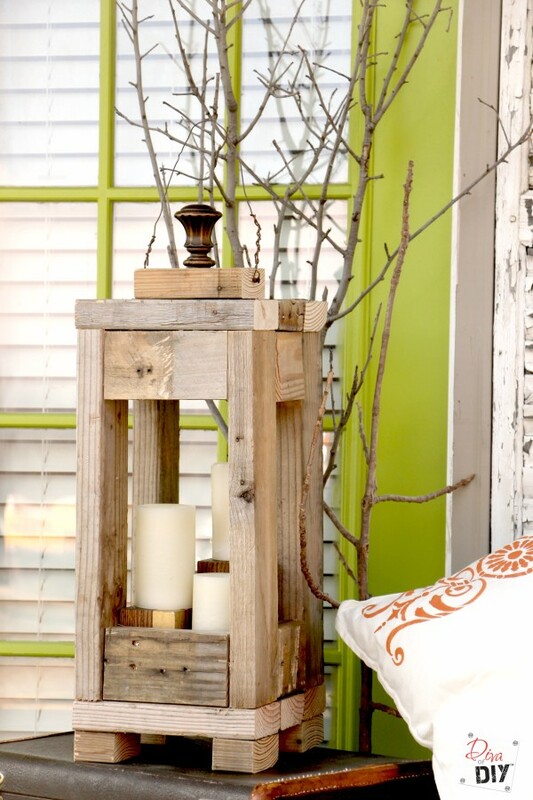 Use the 2x4s left over from Pallet Projects to make this Outdoor Lantern. 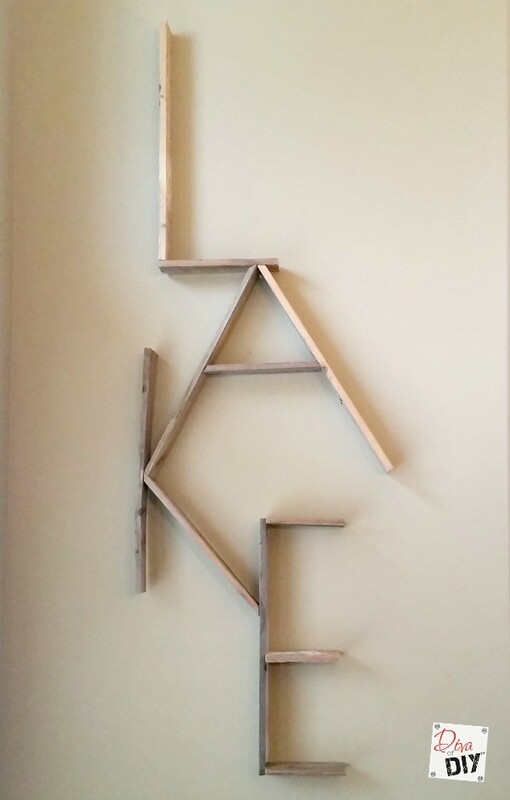 Make a unique Word Sign with Pallet Boards. 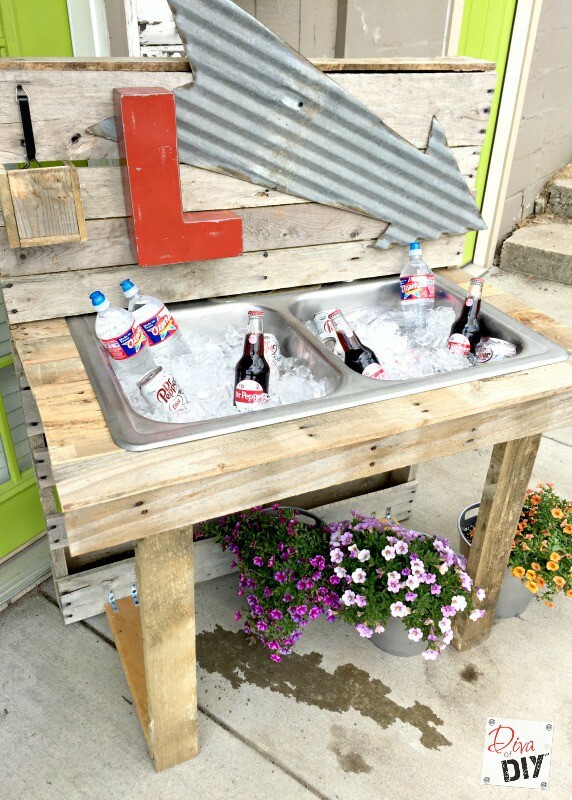 Repurpose an old stainless steel sink into a Outdoor Pallet Drinking Station. 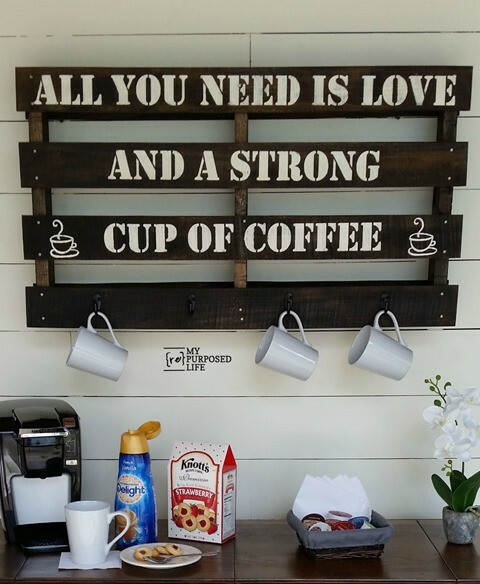 Drink your morning coffee in style with a Pallet Coffee Cup Rack from My Repurposed Life. 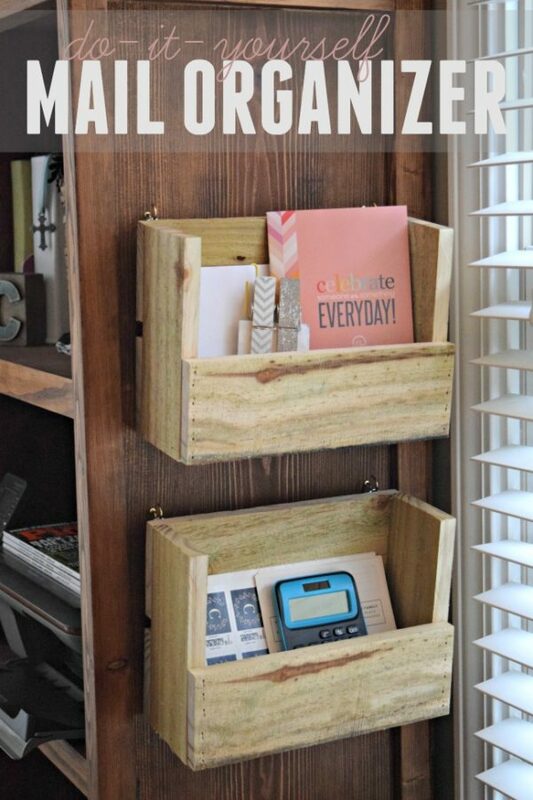 Get organized with a simple Pallet Mail Organizer from This Girls Life Blog. 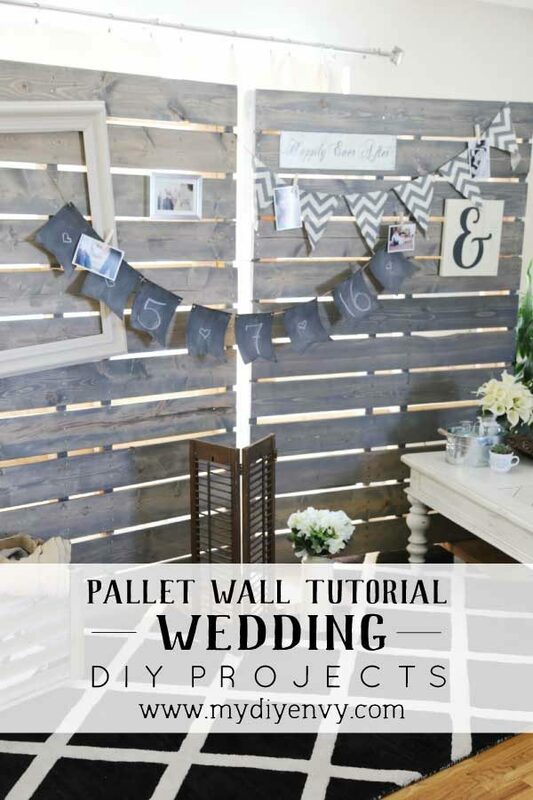 Make a Pallet Wall Photo Backdrop for your next photo occasion with this pallet project from My DIY Envy. 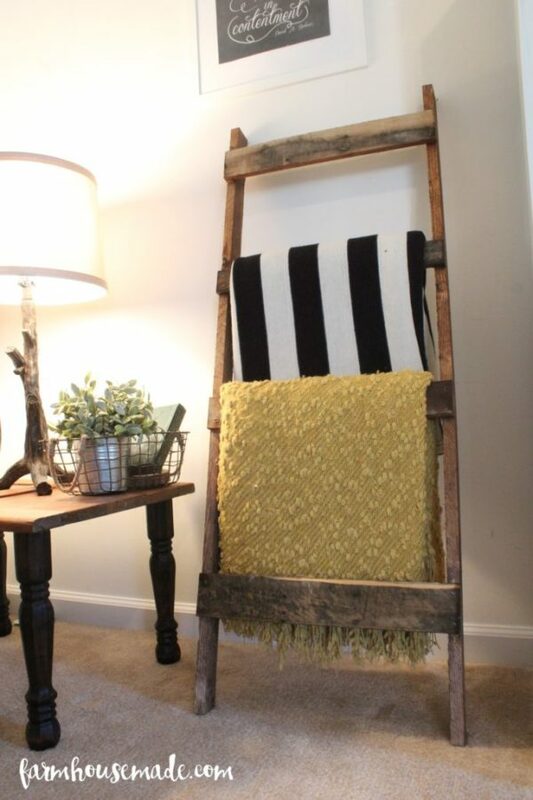 Why spend big money on a blanket ladder when you can DIY your own using Pallet Boards, from Farmhouse Made. 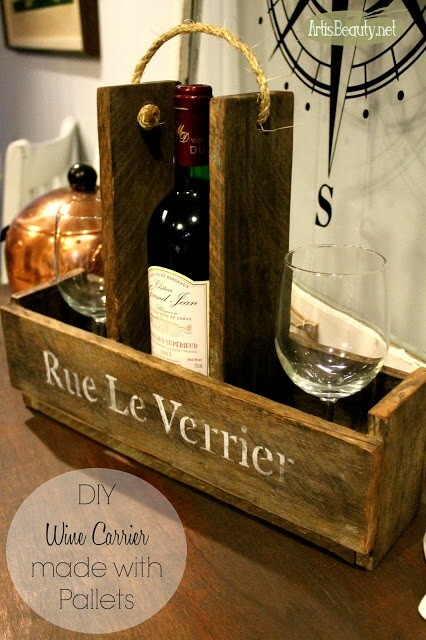 Make the perfect housewarming gift with this Wine Carrier Pallet Project from Art is Beauty. 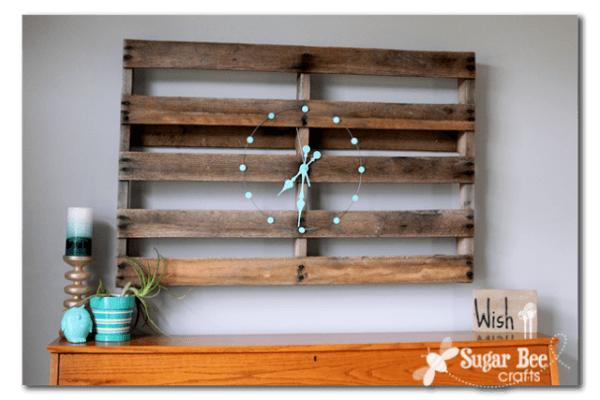 Add a large statement to you wall decor with this Pallet Clock from Sugar Bee Crafts. You now have one foot out the door to head out and grab a few pallets to do your own pallet projects don’t you! I hope so! Give it a try, you have nothing to loose, the wood is free! Let me know what your favorite project is and please share a photo with us so we can see your spin on these fun projects. Love some of these ideas! How fun! Thank you so much! 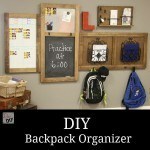 I hope they inspire you to do your own pallet project! 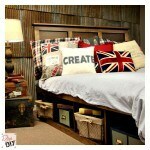 great collection of ideas - I like the blanket ladder too! Thank you! Pallet projects are always fun!